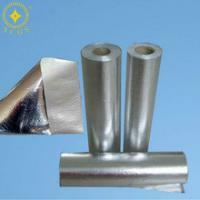 3.Heat reflection, heat insulation, sound insulation, sound insulation, anti-radiation, anti-vibration, and shielding. 5.Summer: moisture barrier, sun-proof ; heat insulation, saving energy consumed by cool air conditioning. 6.Winter: heat preservation, central heating saving, and remarkable energy-saving effect. 3.Protective coatings of water pipe and ventilating pipe. 5. Can be made into different colors and anti-static according to customers specific requirements to reach the standards of top grade decoration. Shenzhen New Star Int'l Group Co.,Ltd. Which is professional manufacturer of Mailing envelopes with over 15 years experience in this market since founded in 1999, and we have 4 factories in China mainland. 1. Full sale service including pre-sale serveice, on-sale service and after-sale service, we will try the best to satisfy your demands. 2. Free samples will be provided with stock. 3.Shipment by air or by sea will be choosed by yourself. 4.The design and printing will be customized.